Do you have a dad who’s always up for a challenge, trying to outlast, and outrun what he sees as his rival? It may be another person or it could be just himself. Dads who are fond of joining marathons and even triathlons definitely belong in the latter category because they keep at it for the simple reason that they always want to be at their best. And his ultra-competitive nature, it can be a little tricky to get him something that he would fancy on Father’s Day. Skip on the usual stuff that other dads get, like ties, handkerchiefs, polo shirts and wallets – simply because he isn’t like any other dad. 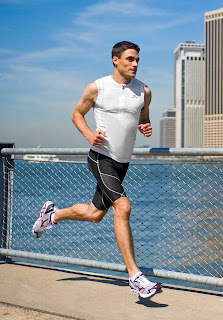 If running is his passion, don’t just settle on getting him a pair of running shoes. First of all, get him a great brand. Secondly, make sure that it comes from a specialized store that caters to his favorite sport. He will definitely appreciate the thought and effort you exert in buying him his gift. Get it only from RUNNR, the first world-class pure running specialty store in the metro. In addition to offering a wide track of the best running brands from around the world, RUNNR adds a dash of science behind this activity. It offers a suite of state of the art services called FOOTWORX that provides Footprint Analysis, Video Gait Analysis, and Custom Insole Moulding. The result is a shoe that matches the exact type of foot, allowing your dad to push himself more into his passion for running. RUNNR carries well-known brands like Adidas, Asics, Brooks, New Balance, Nike, Fuelbelt, Moving Comfort, CW-X, and the revolutionary line of Newton shoes. “We envisioned RUNNR to carry everything that can satisfy even the most die-hard aficionado of the sport. Running dads who want nothing but the best will definitely find it here, and they deserve it on their special day,” said store founder Toby Claudio. Alternatively, you can pamper your competitive dad with running apparel, accessories, supports and insoles from Spenco and Mueller, top-of-the-line watches and eyewear like Polar and Smith Optics, or nutrition supplements like Hammer and Sport Beans. So, go on and treat your dad to RUNNR, and make him feel like the winner that he is.